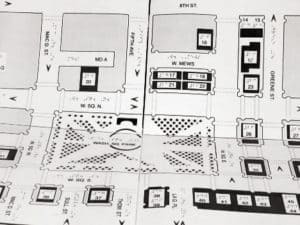 The California School for the Blind is extremely pleased with the work done by Joe Cioffi and his team from InTouch Graphics in developing both permanent and portable tactile maps of our campus in Fremont , California. The maps are accurate, attractive and accessible to all individuals, due not only to their outstanding tactile qualities but also to their high contrast visual qualities for those with low vision. The maps have added so much beauty as well as functionality to our campus, and also serve to raise community awareness of the need to provide accessible information for blind persons. Joe and his team has worked collaboratively with our orientation and mobility instructors, consumers, blind staff, and students, to assure the accuracy and usability of the products. They and has achieved a series of maps which are functional, attractive, and meet the needs of all visitors to our campus. 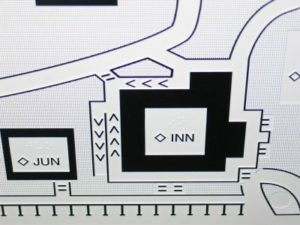 These maps serve not only to provide visitors with orientation to our campus, but provide teaching opportunities for our students to access spatial information and learn the importance of the "language of lines." 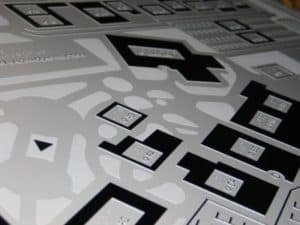 We highly recommend the team from InTouch Graphics and their state of the art products to any who wish to provide accessible maps to their clientele. A new and fully accessible narrative mapping service, ClickAndGo Wayfinding Maps are modeled after the often-used "directions" of Google Maps, Yahoo Maps, and MapQuest. With those services, sighted users make their selections for a starting point and destination from a drop-down menu of landmarks, and then click "GO" for directions. We have taken this information model, compiled additional adaptations that meet the specific needs of the blind and deafblind, and are now able to provide non-sighted travelers with customized "mobility-friendly" walking directions. For more information visit www.clickandgomaps.com.